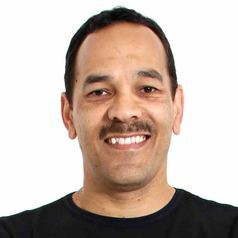 Prof Lester M. Davids is a researcher and teacher in the Dept of Human Biology at the University of Cape Town. He runs a scientific research lab specializing in skin cancer and wound healing. His other lab focus is the study of the global biological and psychosocial effect of skin lightener use with special interest in Africa. His other interests include mentoring and motivating secondary school learners to pursue a career in the sciences. He also spends time outdoors, plays volleyball and does road running.